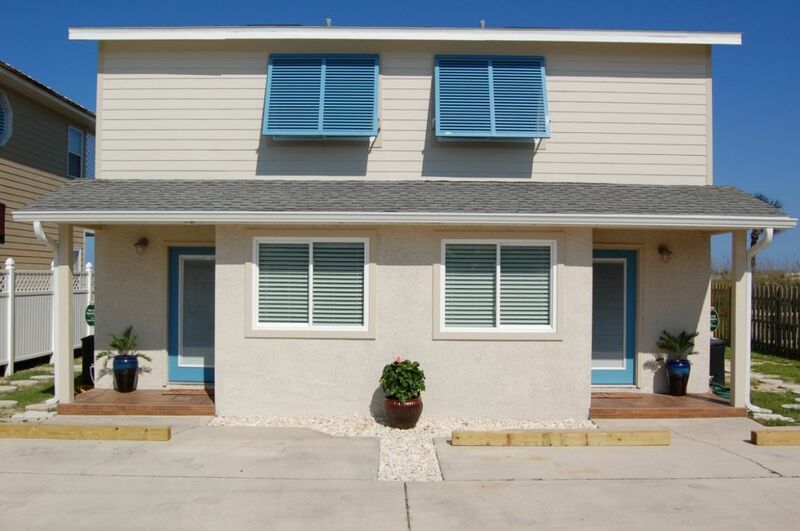 Surf and Sand OceanFront is Great for Multi-Families! Surf and Sand OceanFront is extremely popular with multi-families. It is often used for families attending weddings, family reunions and extended family get-togethers. 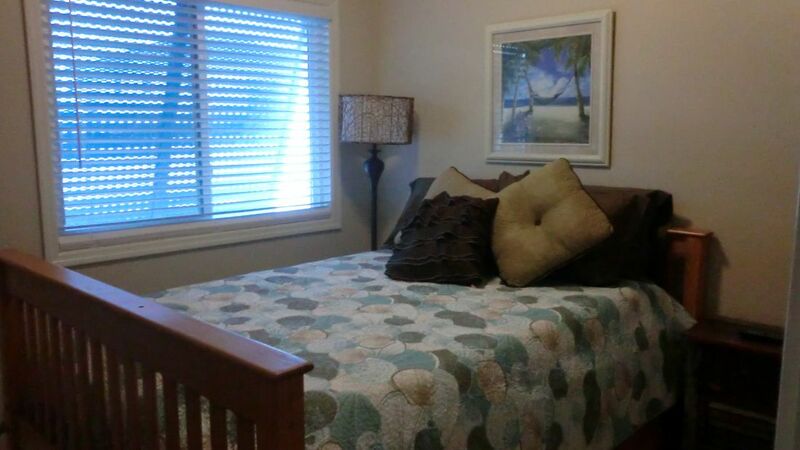 With 4 bedrooms, 4 bathrooms, HUGE oceanfront decks, dual entrances and parking for up to 4 vehicles. 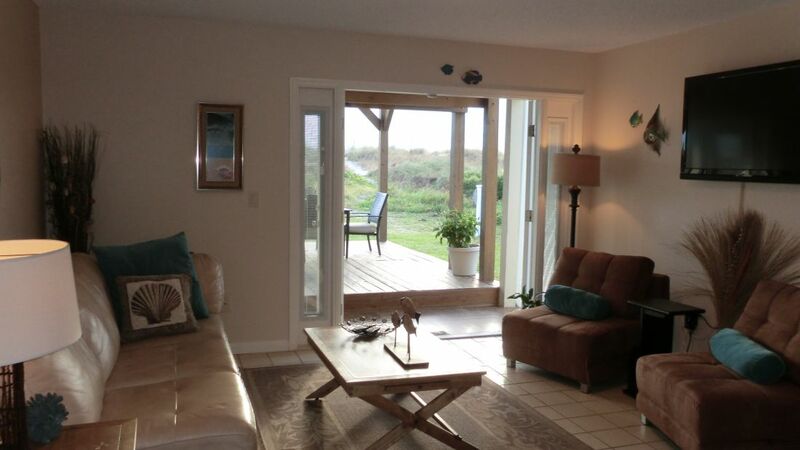 Surf and Sand Oceanfront is the perfect family house, in the perfect location! It can sleep up to 12 guests in 2 king beds, 2 queen beds, 4 single beds and two trundles. The unique design of Surf and Sand OceanFront offers a variety of ways to house individual families without disturbing one another. You can all stay together, while at the same time having your own family "space." Surf and Sand OceanFront has a sister property, The Sand Castle, which sleeps up to 21 guests. 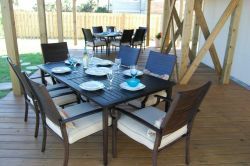 It is located just 50 yards away (within line of sight) and can be rented together with Surf and Sand to sleep up to 33 guests! 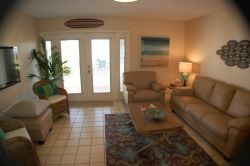 The ground floors, of Surf and Sand OceanFront, have two front entrances, two living areas with 4 convertible sleep chairs, 2 dining areas, 2 fully equipped kitchens, 2 split bathrooms (water closet and tropical rain showers with changing rooms), and two rear entrances that open onto a HUGE oceanfront dune deck. The ground floors can be accessed via four exterior entrances without disturbing guests on the second floors. OceanFront Lower Deck for Family Fun! 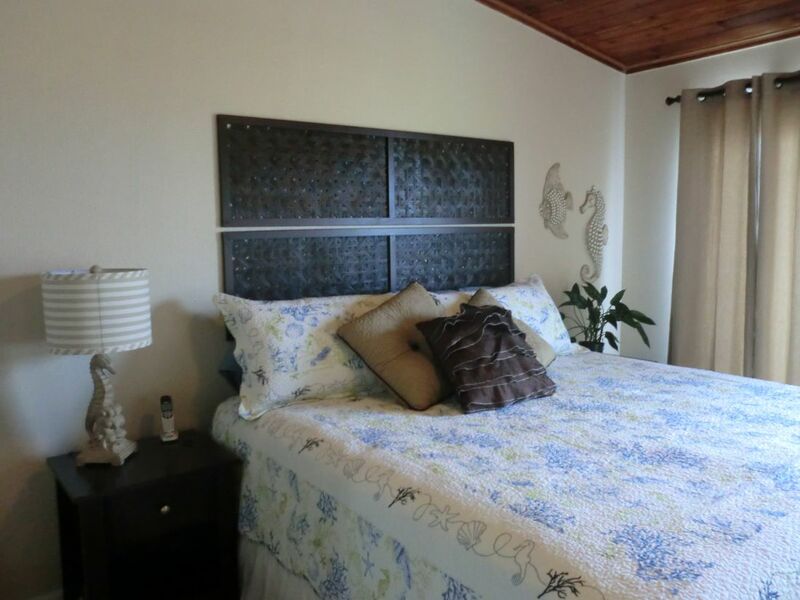 The second floor, of Surf and Sand Oceanfront, has 4 bedrooms sleeping up to 12 (including 2 oceanfront master bedrooms), 2 full baths and panoramic oceanfront deck. The two oceanfront master bedrooms sleep up to four in two king beds. The two queen bedrooms and lower floor convertible beds sleep up to eight in two queen beds, two trundles, and four convertible sleep chairs. There are 2 full baths (no tubs) on this floor. 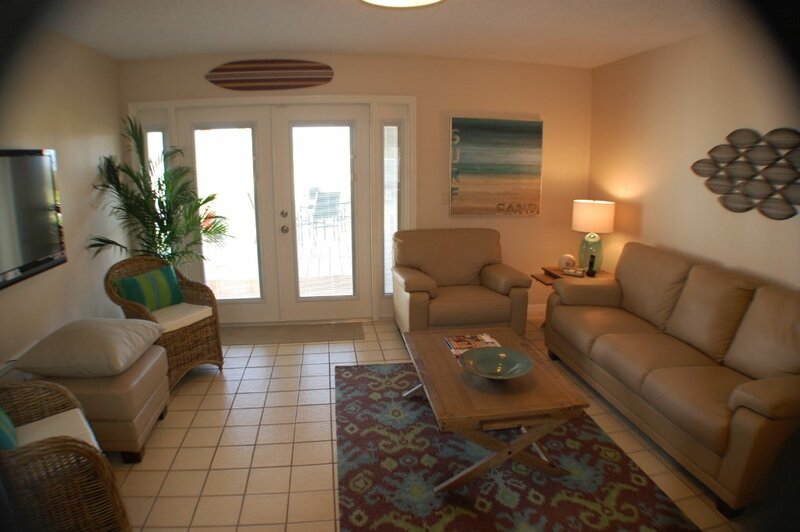 The oceanfront panoramic deck is accessible from both units at this level. 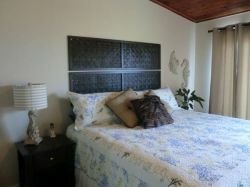 "Surf" Queen Bedroom with Trundle!